...Surrounding myself with natural beauty all day long… Oh! What a blessing it was! 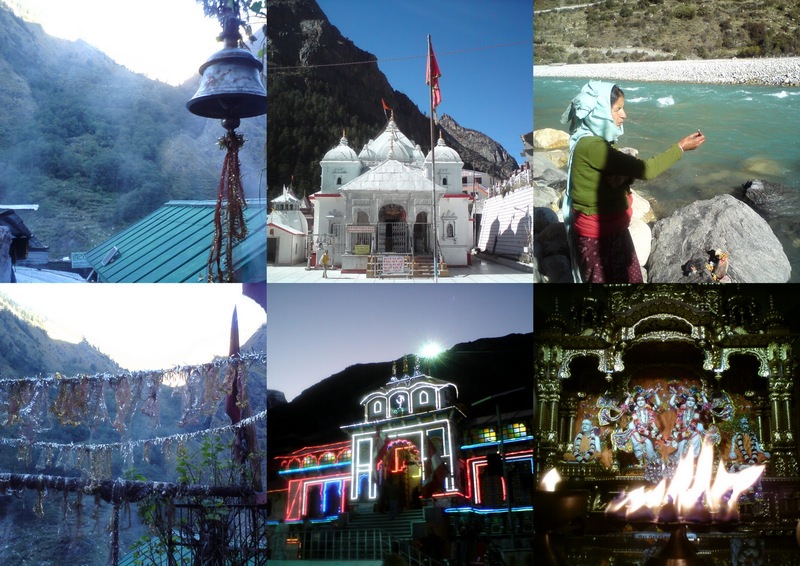 The complete Char Dham Yatra series saw close to 40 posts scattered over 7 months, covering 2 of the 4 coveted dhams of the circuit - Gangotri and Badrinath. Thus, to help easy navigation and simple reading, I am bundling up all these posts here so that we have all of it in one single place. 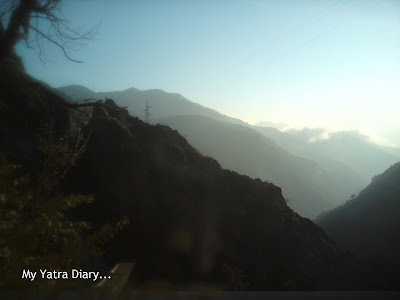 Part I - Exploring the town of Gangotri -The temple and other places. 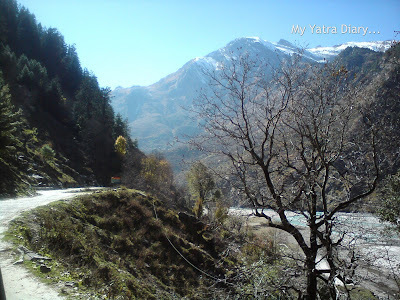 DAY 3: Travelogues describing the journey towards the second dham, Badrinath. Night halt at Birahi. 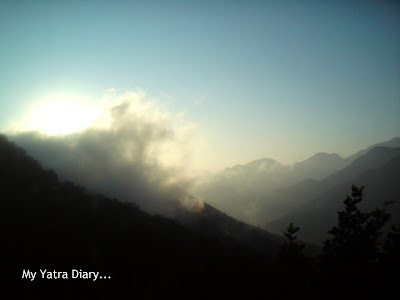 Today, as I write this last post in the Char Dham series... I feel happy, content and a bit tired too, a feeling quite akin to the feeling that we get on our arrival from a long journey back home. It's been close to seven months since I started penning The Char Dham yatra here. When I had started out, I had never imagined it to go this long. But then the place had so much to explore, so much to discover, so much on offer and so much to take back that I really cannot be blamed. I wanted to document most, if not all, of what I had seen, what I had experienced, what I had come across... in detail... I had wanted to relive an entire experience... And today, I cannot really say which out of the two, the real and the virtual one, has been more fulfilling for me. I have so enjoyed your trip through the Himalayas, Arti, and thank you for taking us along through your terrific captures and information that you've shared! Wishing you a very Happy New Year! I look forward to traveling with you through your photos in the coming year! Enjoy! Sad that this journey has come to an end, I look forward to sharing more with you. Dear Arti, i think it is wonderful to do both - travel in real life, and than re-live it while you write about it and deepen the experience you've had, Thanks for sharing your magical memories and impressions! 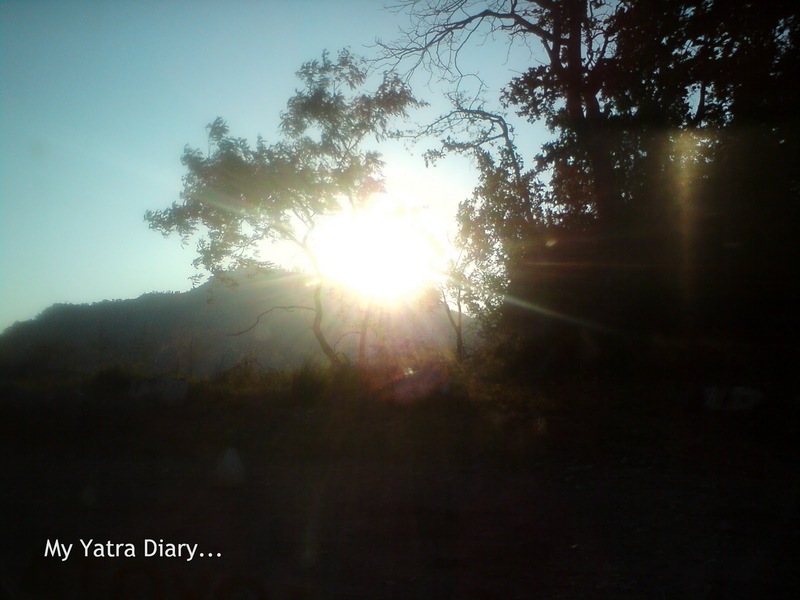 A very nice post on Char Dham yatra! Every time I read your posts my memories are refreshed! Thanks a lot for this virtual trip of chaar dhaam yatra. I feel happy to be a part of this trip. Looking forward to seeing and reading about your future yatras. This series was my favorite of all your posts, I am sad to see it end!! But I hope you have more beauty planned for us in the coming year! How will you be celebrating New Year's eve and day? Fantastic summary..It was an interesting series..as usual containing lot of useful details.. Thanks Arti..! Looking forward to your next Himalayan sojourn..! thank you so much for all the info and a ready reckoner for the char dham yatra! Life is a beautiful journey - the destinations keep changing. You are a traveller at heart, and I'm sure that soon you'll find someplace to travel. Wishing you & your loved ones a happy and prosperous New Year. That was one enjoyable ride Arti !Each one of your post is beautiful and wonderfully narrated.Looking forward to more from you . I hope that i am too able to make this wonderful trip and then your help would be invaluable in planning.. I loved your line "Once you have traveled, the voyage never ends.." And you have a nice way of managing all your posts Arti - All in one place!! Nice one..
A great and enlightening series . Hats off to you to bring in some much of information on Char dham . Awesome!!! Very informative. Thanks for sharing. Extremely beautiful post with equally lovely photos. Great. What a long journy.I enjoyed most of them. I am grateful to you for taking me along on the journey! What a great time of year to be ending the virtual journey and looking back upon it -- perfect timing. I loved the line about travel being 'dipping into a life different from my own' -- perfect! Enjoyed following you. It was great. Silhouettes over silhouettes of mountains. Wow! Definitely on my bucket list. Very informative entries, my friend. Happy Holidays! Wish you more travels next year. Such utterly magical photos - what glorious memories! all of your posts took a lot of work. Amazing, really. Thank you for sharing and providing so much information. Wishing you a very happy and healthy new year, Arti. thank you for this. i will surely use this as a reference when i finally do my trip to the himalayas. and presented it with beautiful pictures that is unique and amazing only. Many many thanks Arti ...ji. Stopping by to wish you and yours a happy 2012, I hope you have a magical year. What an amazing journey you have shared with us. Your writing and photos really made it an adventure for me. Well done. I have read till day4 and it was amazing. I am also planning to go from a long time. Lets see when Badrinath deity will call us..